There may be little fundamental logic to crude price swings of late - the latest being Tuesday's rise of 1.9 percent after a previous flat session - but despite all the factors that have caused traders to act nervously, oil is still heading for the best first quarter in 17 years. That was the message delivered by Bloomberg on Tuesday, noting that disruptions to refiners along the Houston Ship Channel and Russia reporting that it will likely reach its pledge to cut output by 228,000 barrels per day (bpd) by the end of this month being the latest contributing drivers to crude's stellar Q1 performance. These cuts, part of the effort by the Organization of the Petroleum Exporting Countries (OPEC) to combat a perceived excess of global crude supply, helped Brent on Tuesday climb 70 cents to $67.89 per barrel; West Texas Intermediate added $1, or 1.9 percent, to settle at $59.94. Much has been made of manufacturing data from Asia, Europe, and the U.S. pointing to an economic slowdown, and this indeed has influenced traders to limit oil's rally in recent weeks; however, analysts at JBC Energy argued that "So far, demand concerns have not proven too much of a headwind." 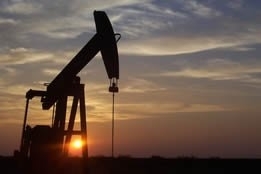 Perhaps swayed by crude's performance on Tuesday, analysts expressed cautious optimism for the commodity moving forward. Jeff Currie, head of commodities research at Goldman Sachs, told Bloomberg television that the market today "is tight: you're drawing inventories at a rate of 1 million bpd," but that thanks to more pipeline capacity coming on line in the U.S. Permian Basin in 2020, "the back end is staying anchored: this is an ideal environment for investors." Currie speculated that over the next few years, the market could tighten to the point where oil trades in the $75-$80 range; however, he played it safe by predicting that prices would probably stay range bound. For the meantime, Currie believes "the market will be balanced most likely by the end of April/early May, and that this will force OPEC to consider exit strategies for its output reduction plan.